Looking for a New Hairstyle? Just not Sure What Will Suit you? Use a Celebrity Hairstyle to find a great hairstyle that suits you. • Free hairstyles in various lengths to try on. • Take a photo, Use your photo album. • Use Facebook photos, even of friends, post to your wall. • Post in Twitter too, if you wish. • Understand what suits your face shape. It’s all about long hair? The new 2015 season is going to be an experimenting one. This year is rich with different celebrity hairstyle trends. Download and check out the long hairstyle ideas now. Beautiful hair is a must have of every man or woman, that’s why you always have to follow fashion and underline your beauty and style. 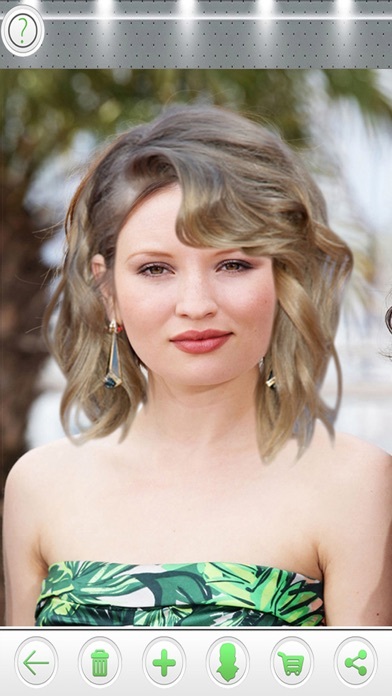 So try on a new Celebrity Hairstyle and avoid a hairstyle disaster! I just downloaded this app. I have long hair & am considering changing up my style. 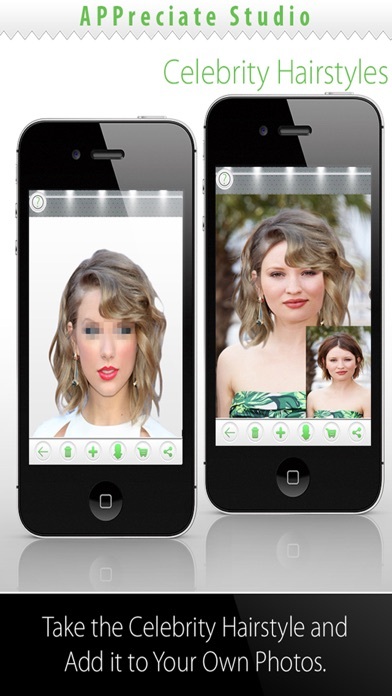 This app seems to be right one to use to help me find a new look. Can't really know if I'm enjoying the app if you don't actually let me try it! So far so good...need to keep playing around with it. Tried this app just for fun after I was told I look like another celebrity. It’s super easy to use and give you an idea of how a style and another color would lol in you. As for improvements, I wish the app would allow me to adjust my photo and/or the background. There were multiple styles that I could not adjust to be large enough because my photo/background could not be resized or rotated. From the get-go, as soon as you open the app., it says “choose the first wig free,” meaning after which, all others are going to cost you! I hate when they do this! Just writing a review to unlock more stuff. Trying different hairstyles is fun!